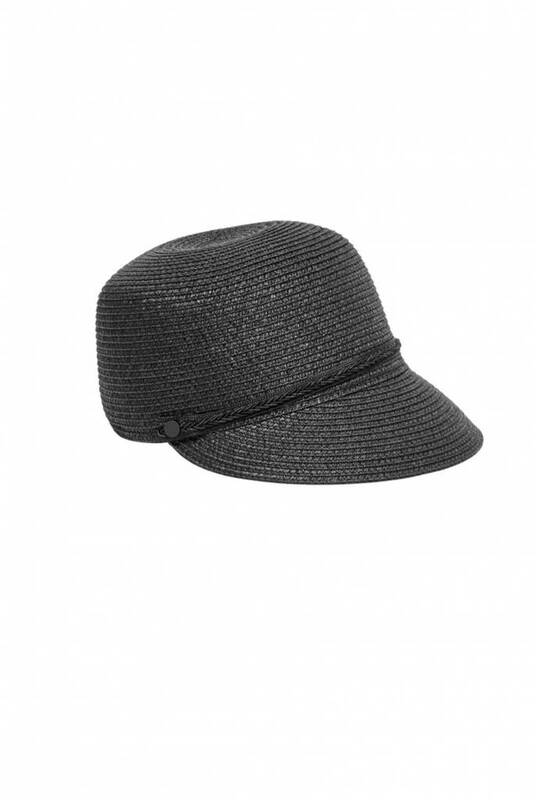 Straw cap Reese Raffia Cap from French Connection. 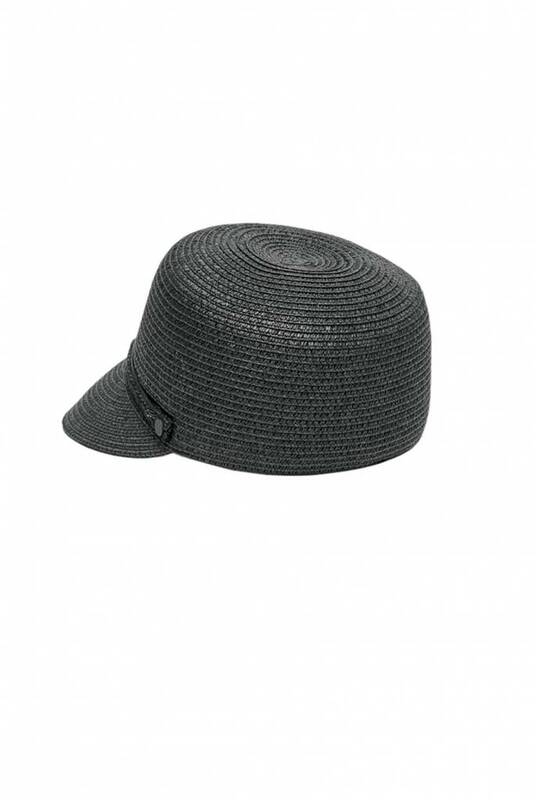 The Reese Raffia in black with a subtle shimmer has a tip and a round, moulded design. 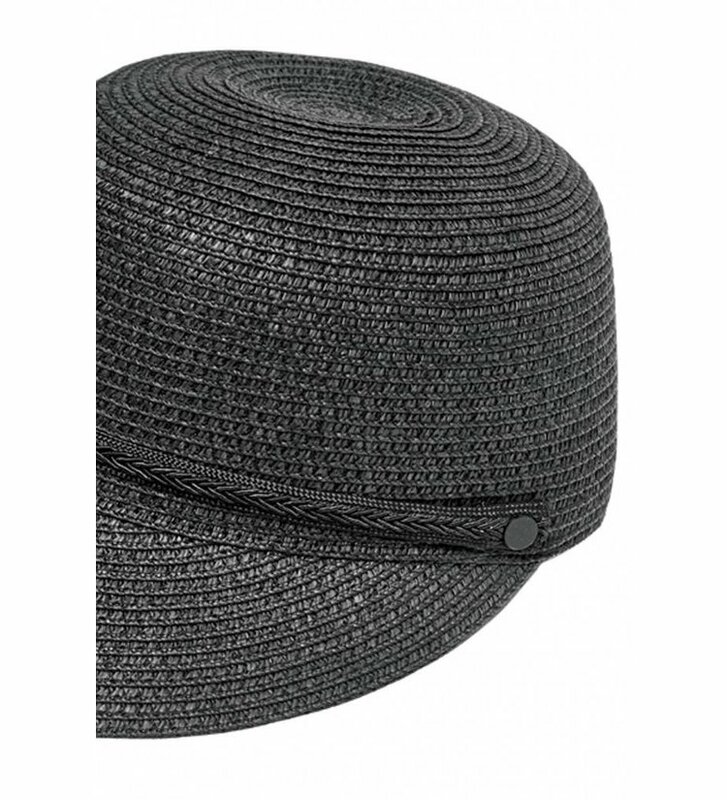 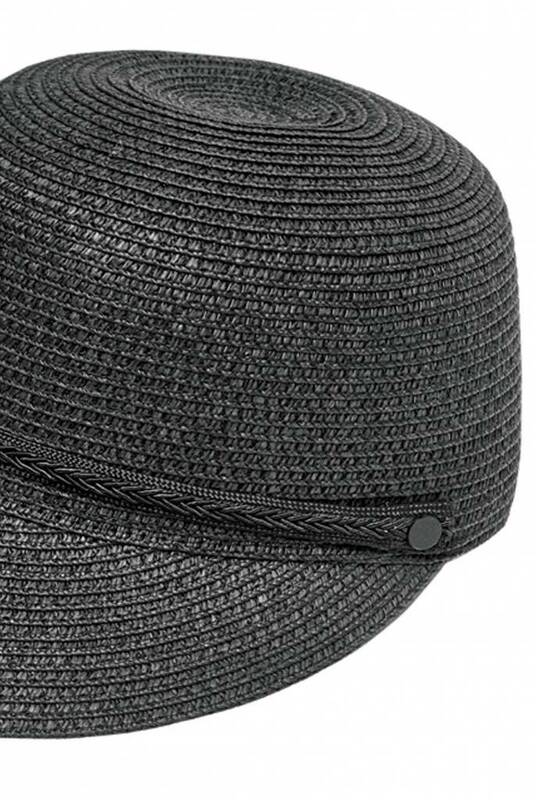 The Reese Raffia hat has a clean design with a braided rope above the tip. 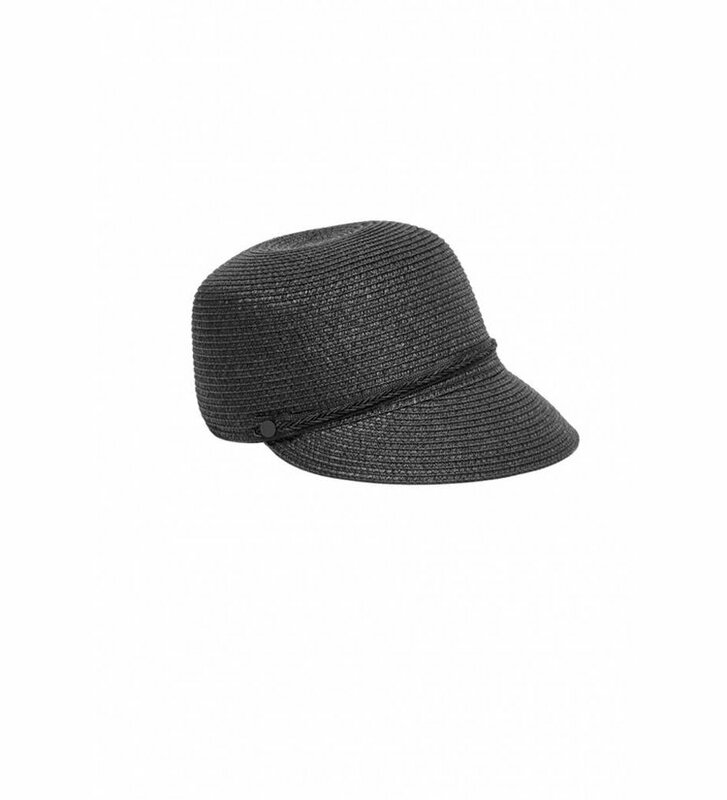 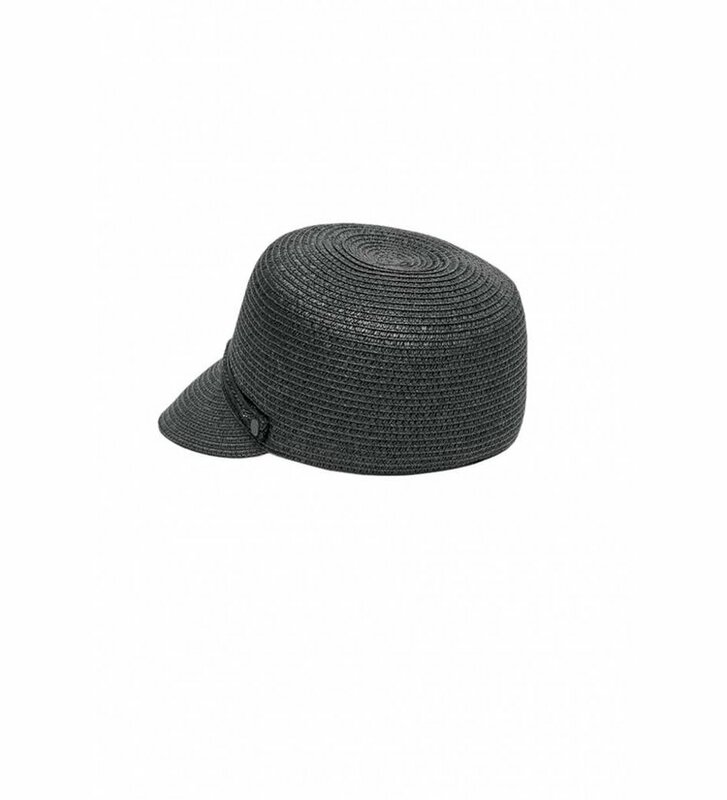 The cap is available in two sizes.